Invest in top enterprises with great potential, support entrepreneurs with extraordinary pursuit, and build leading world-class companies. Co-founded by Tencent and officially launched in July 2017, WeShare is a fintech company which provides industry-leading consumer finance technology to institutional clients. The Company leverages Tencent’s deep ecosystem resources and data to assist institutional customers, such as banks, financial institutions, real estate finance companies, auto finance companies, to enhance their customers acquisition and risk management capabilities and enhance their capital access. As such, it is a key component of Tencent’s financial ecosystem strategy, which will play an important role in Tencent’s financial business development in the future. It has built a proprietary risk management model and anti-fraud system which has exclusive access to Tencent’s database, amongst others, to provide a “white-list” service for consumer lenders, enhancing their pre-loan screening process, significantly lowering their credit risk. Meanwhile, Tencent’s database will also be significantly enriched through these transaction intelligences. As of April 2018, WeShare assisted customers in issuing 6 standalone ABS products with a total asset value of ~1.9 billion yuan. 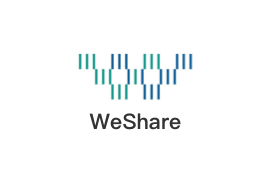 WeShare business partners include major financial institutions/consumer finance companies such as Pudong Development Bank, China Industrial Bank, China Merchants Bank, Yixin, and Uxin. The Company expects to issue tens of billions of ABS in 2018.